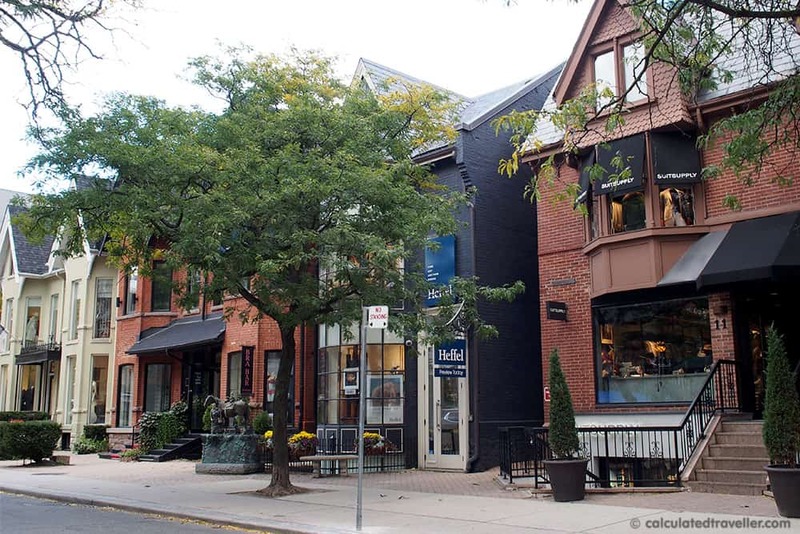 In the exclusive historical neighbourhood of Yorkville in Toronto Ontario just north of Bloor Street and the Royal Ontario Museum, we spend the day learning about life in the village. 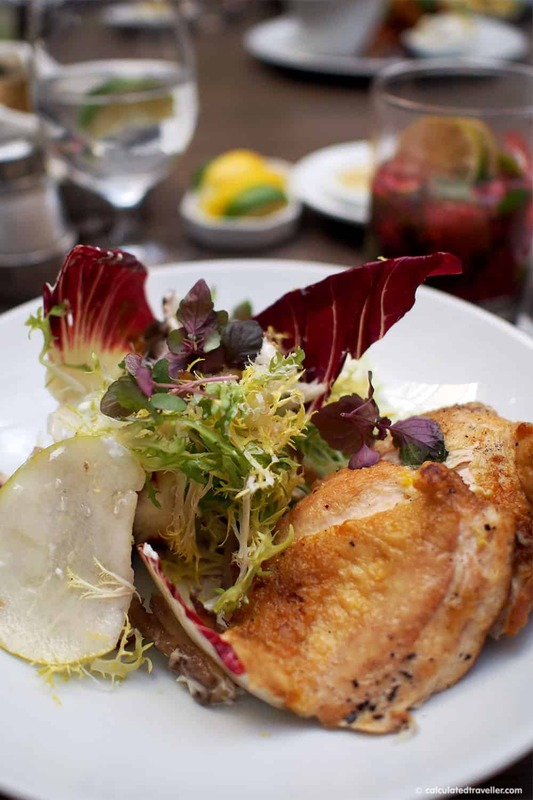 Starting with a delicious lunch in a Victorian row house at Sassafraz Restaurant and a walking tour through the historic streets with On the Town Tours for architectural views, art galleries, and boutiques. It’s a day of re-imaginings, re-creations, and evolution of a small neighbourhood in a big city. 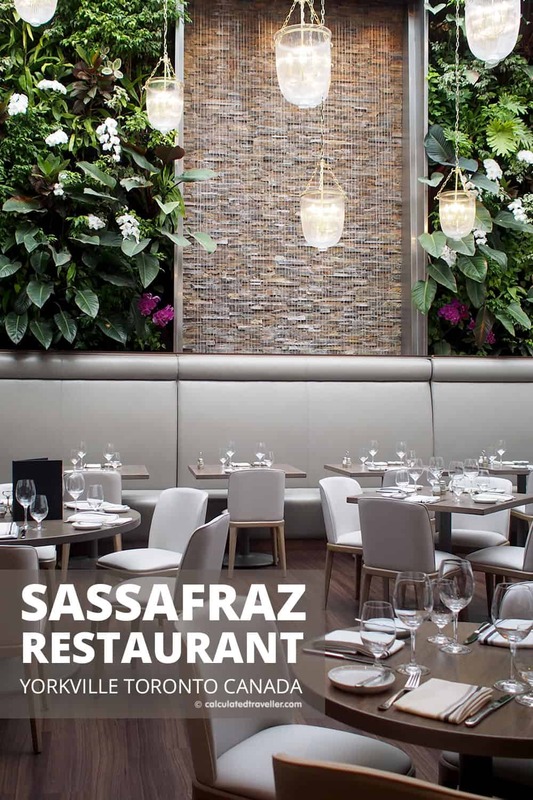 Sitting at my table underneath the large skylight next to the living wall and water feature at Sassafraz Restaurant in the heart of Yorkville (on the corner of Bellair and Cumberland Street) in Toronto Ontario I feel like I’m eating al fresco in a garden. The sun is bright and warm, and it feels like a hot summer day even though its a chilly, blustery fall morning. Sassafraz Restaurant is tricking my senses as confirmed by our server Betina when she offers us cocktails and suggests freshly crafted fruit juices, healthy smoothies, mimosas, and a variety of house speciality drinks. 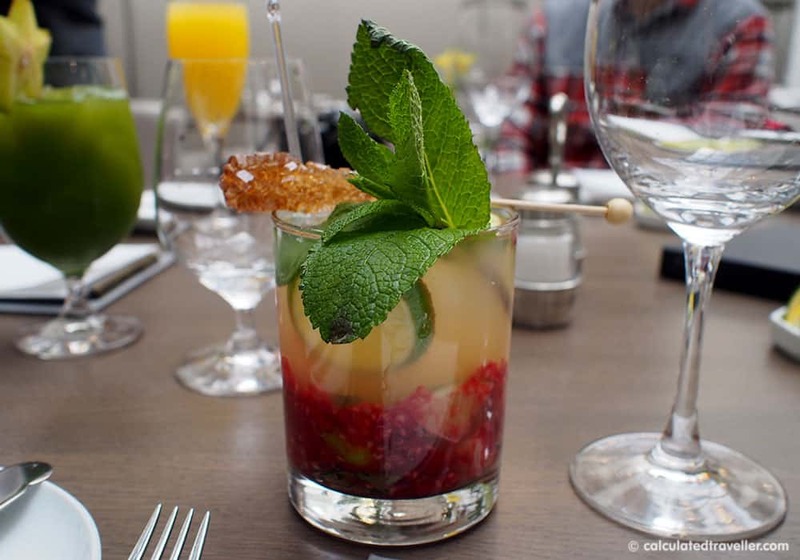 I’m fooled, and I order a signature Badass Mojito of Wray & Nephew white overproof rum, fresh apple juice, muddled raspberries, mint, lime and soda. Betina smiles, her eyes twinkle in agreement — I’ve chosen wisely. But I decide to be a good girl this morning and skip the alcohol (wink). Difficult to drink? A bit. With all the muddled raspberries at the bottom of the glass, Betina brings me a spoon without asking; clearly, she has done this before. She is a pro and knows her stuff, we are putty in her hands as she guides us through the menu and assists us in choosing our lunch. 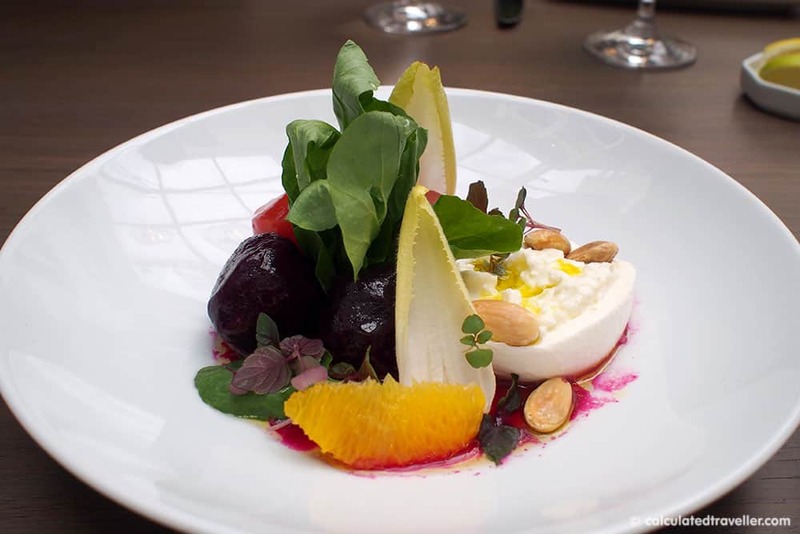 When it comes to Yorkville restaurants, Sassafraz Restaurant is an icon in the neighbourhood of Yorkville, serving customers for over 20 years with over 10,000 square feet of space on two levels in an array of Victorian row houses. Having recently undergone a renovation that took two years to plan, Sassafraz Restaurant has been reimagined with a new interior, new exterior and new market-driven menu. With soft dove grey touches in the upholstery and artwork; bright white linens and walls; and natural elements in the walnut tables, floor, and living wall the decor is beautiful. Not formal, pretentious or “stuffy”, the dining room is fresh, bright, comfortable, welcoming and simply elegant. 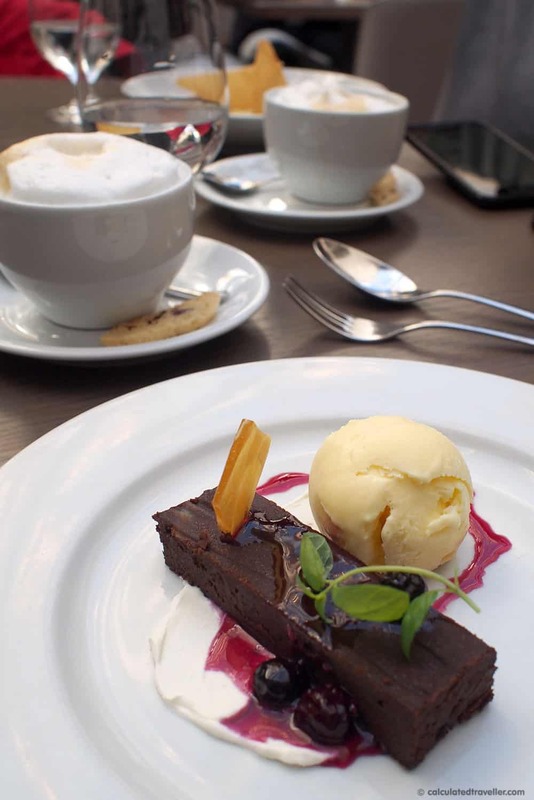 It’s a relaxing atmosphere perfect for a get together with old friends or a power lunch with a new business partner. Sassafraz Toronto also offers relaxed dining at their S-café Bar offering smaller bites, cocktails, and speciality coffees in an informal area near the entrance. S-café Bar is also where they hold their special event offerings such as live Jazz music nights. Executive Chef Geoff Webb is quiet and reserved when he comes to greet us in person and welcome us to the restaurant (a perk of being a travel writer); I’m struck by how young he looks. He has been with Sassafraz for the last 13 years working his way up the ladder from the front lines of the kitchen. He clearly has found his calling. 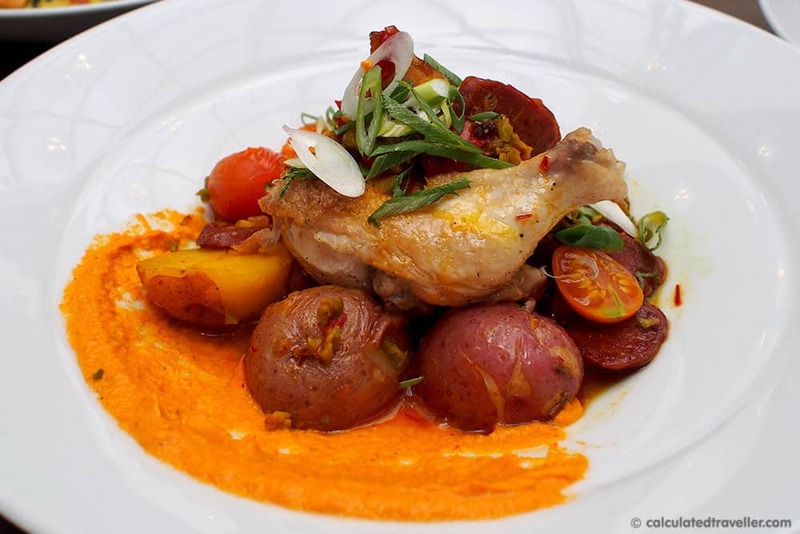 Chef Geoff’s food is beautiful to look at and tastes delightful. When asked about his inspiration and food philosophy Chef Geoff tells us that he tries to serve locally sourced products whenever possible. 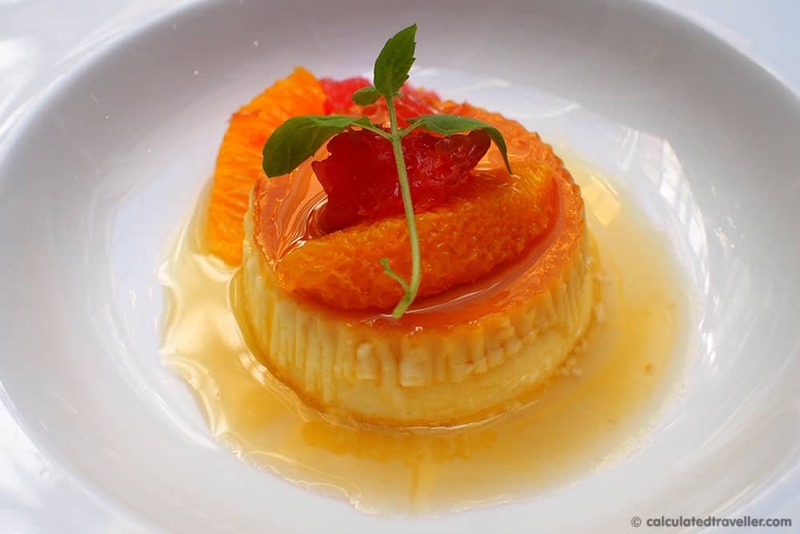 With a focus on health-conscious dishes, he wants the customer to leave the restaurant feeling satisfied but not overly stuffed and uncomfortable. 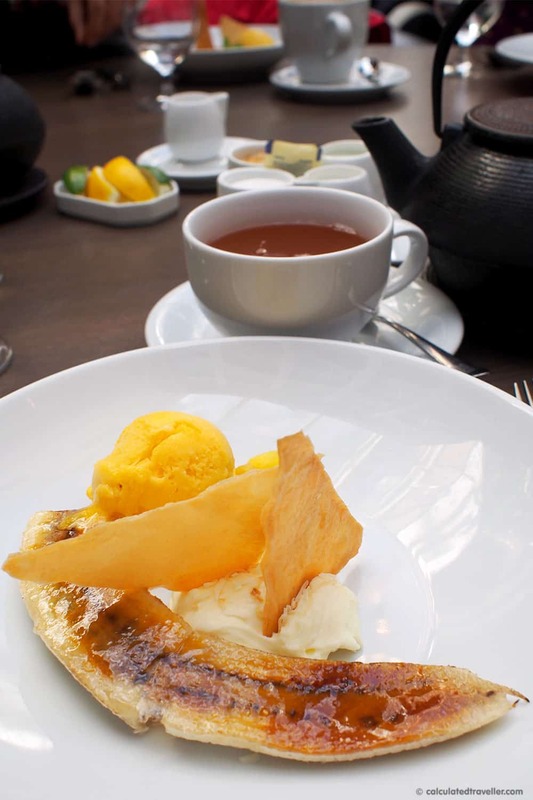 The Sassafraz Menu features unique international flavours and blends reminiscent of South American, Asian, and French cuisine; all the while staying local by sourcing world-class products from boutique suppliers in Canada. All menu items are customizable for special diets or allergies. 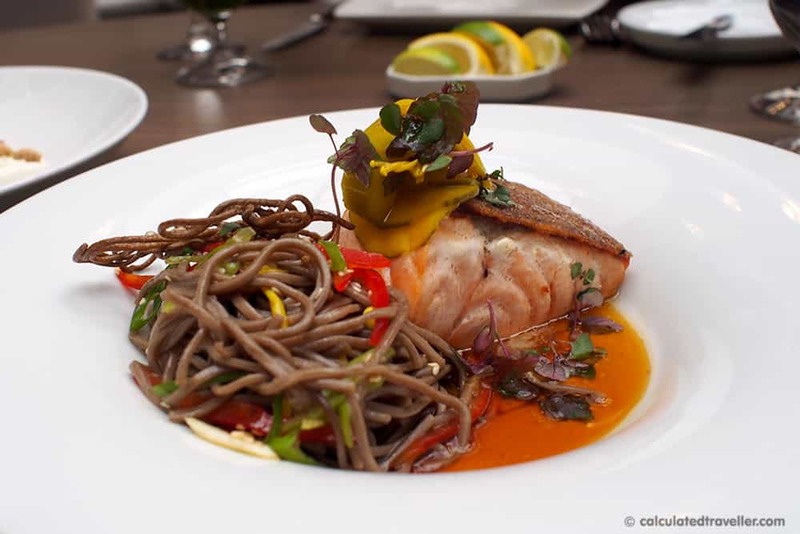 – The sustainably farmed salmon from Nova Scotia is cooked perfectly, and the chilled soba tasted terrific with the ponzu. 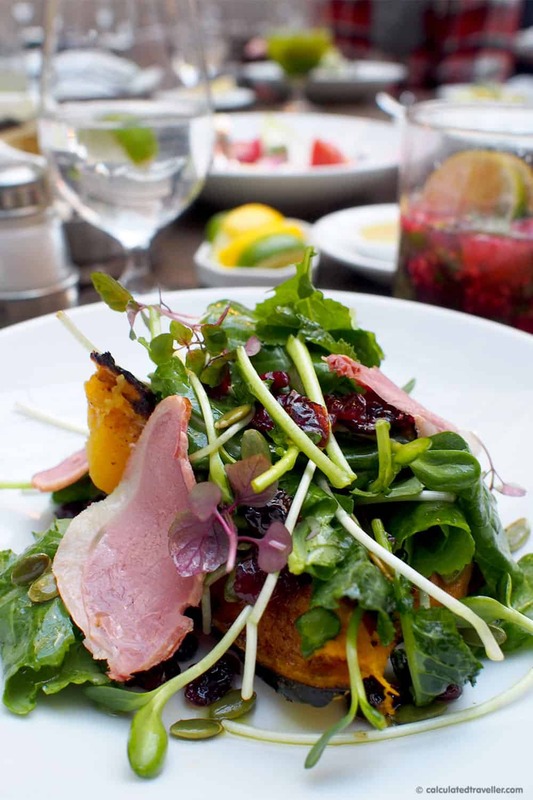 – Warm with the squash, fresh with the salad and rich with the duck — surprisingly very filling. I’m not a salad person as I typically go straight for meat and potatoes, but this was a perfect lunch choice for me and tasted delicious. 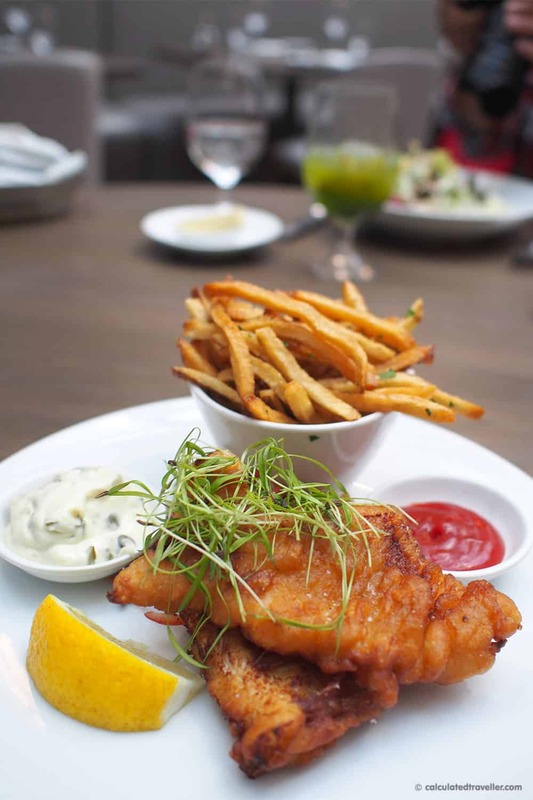 – Not your ordinary fish and chips – this is cod from Fogo Island on the northeast coast of Newfoundland. – This dessert is chocolate cake on steroids — rich and delicious! – Probably one of the best crème caramels I’ve ever devoured. It was smooth as silk, rich and creamy, yet refreshingly light due to the citrus. A fabulous meal, with excellent service. I plan on returning with friends. Jane Herman of On the Town Tours greets us across the street from the restaurant. She’s bundled up to ward off the cold weather. We are back in the real world outside and are about to explore life in the village with a trusted guide — the only way to tour! 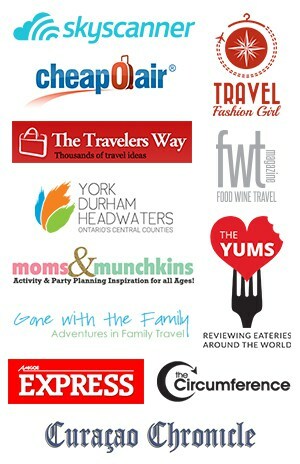 I love walking tours and have been on many. I’ve found that some are all about entertaining you versus enlightening you. Case in point was when I took multiple ghost tours in the same city with different tour companies — each tour guide told a different “historical” ghost story, and it was hard to say which story was true. Jane, on the other hand, knows her stuff and during our 1.5-hour walking tour of the village of Yorkville, we learned of the history of the neighbourhood, and how Yorkville is evolving into the future. Jane is a wealth of knowledge when it comes to art and architecture as she expertly shared facts about the various design firms, the inspiration behind the buildings, and their history. It’s also fitting that we start our tour outside of Sassafraz Restaurant as it happens to be across the street from the award-winning Yorkville Park. What once was a row of Victorian homes, the homes became a parking lot when the Bloor Subway System was put in underneath during the 1950’s. 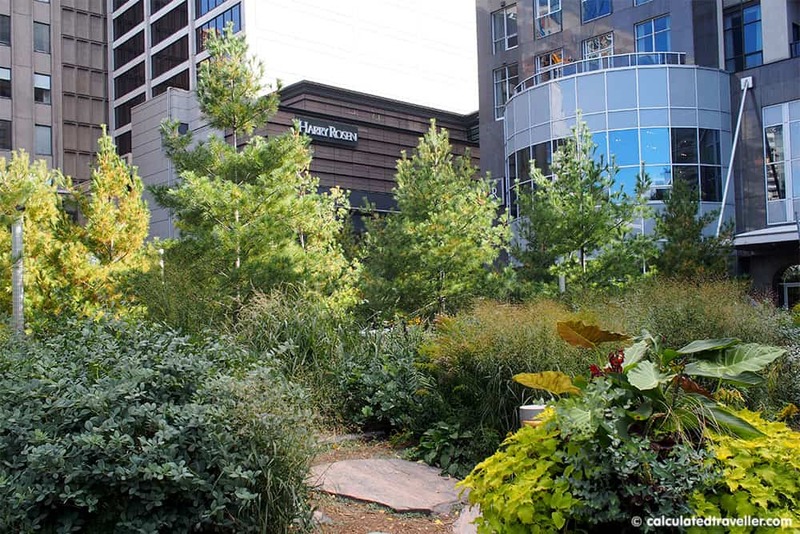 Lucky for us, in the early 1990’s the parking lot was replaced with a beautiful urban park consisting of 11 distinct garden plots that trace the property lines of the row houses that once stood there. Each garden plot represents a different aspect of the Canadian landscape. As a Toronto resident, I’ve walked past this park many times and had no idea that this was the inspiration for the design! Yorkville Public Library. 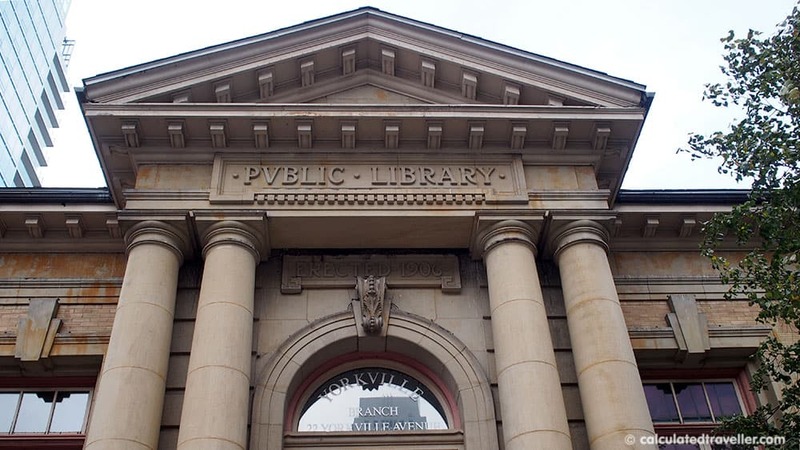 The first library in the Toronto Public Library system. I’m so glad that I had this opportunity to participate in a walking tour of Yorkville Village because during our visit we saw quite a few cranes, for sale signs and construction. 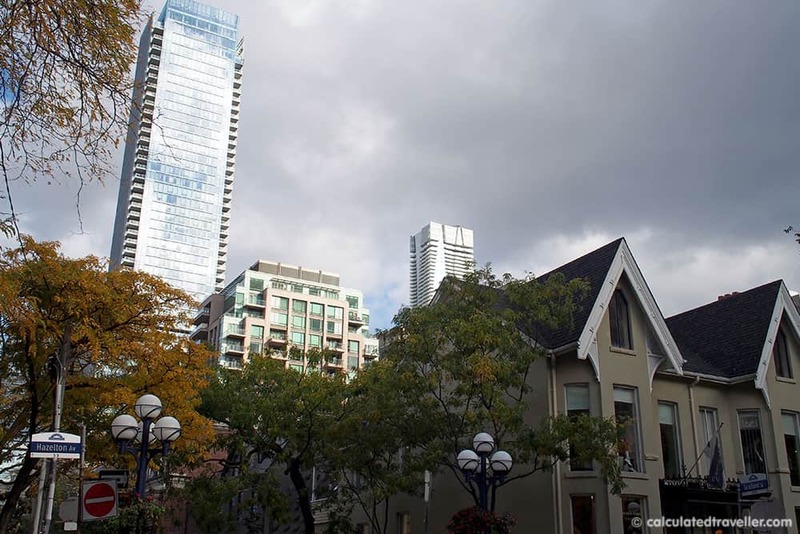 When you think that what once was a working-class neighbourhood of Victorian homes in the early 1900s and made way to artists, musicians, actors, and coffee houses in the 1960’s, is quickly turning into a neighbourhood of designer boutiques and high rise condominiums! 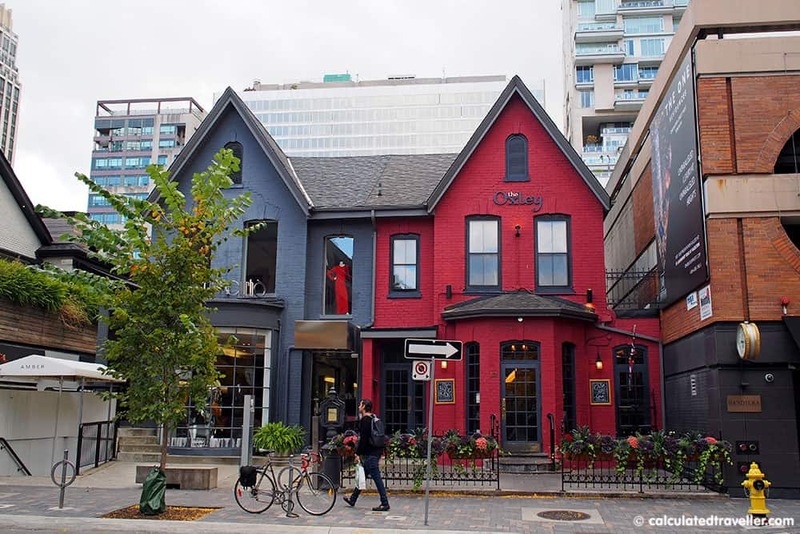 On the Town Tours offers various Toronto walking tours for places such as the Distillery District, Casa Loma neighbourhood, Queen West Art Gallery Crawl, Financial District, and Waterfront tours as well as culinary walking tours in Kensington Market and food tours in Chinatown. Where Jane excels is in how she customises her tours to the participant’s requests. The itinerary follows a general route, but each one is highly personalised for the individual based on interests and enthusiasm for the subject. 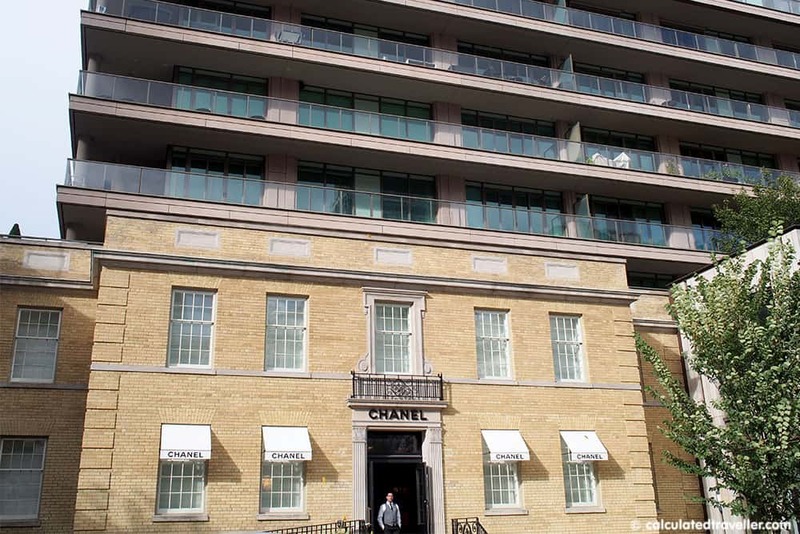 For example, knowing that our group were all travel writers, she made arrangements for a private tour of the Four Seasons Hotel on Yorkville Avenue as a bonus! Now that’s customer service for you, to ensure that people get the best experience on their tour! 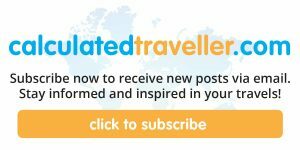 I was a guest of Sassafraz Restaurant and On the Town Tours as this was an organized press trip for the members of the International Food Wine and Travel Writers Association. All opinions are entirely my own. Hi Mary, great post. The food surely looks tempting. Will make it a point to visit this place on my next trip. I love going to Sassafraz for oysters and a glass of champagne and I love the ‘hood. Next time I’ll expand my menu options!